And here we are, at the last app I use in my morning routine. Arguably, this one has little to nothing to do with a weight loss routine, but I include it because I consider it an important part of my morning. After my Tai Chi, Meditation, Visualization, Gratitude Journal, LoseIt! 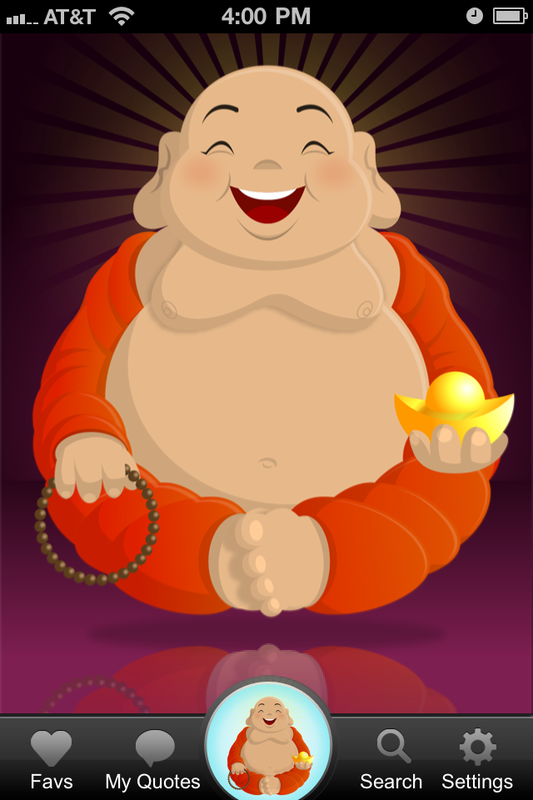 Calorie Tracking and such in the mornings, I finish my routine by reading a few quotes from the Little Buddha app from Happy Tapper. Following the usual sleek, simple and positive theme that you will have come to expect from Happy Tapper, Little Buddha allows you to search, read, save, share and enter quotes. That's it. There's really not much to say about it except that it works really well, it's cute (like all Happy Tapper apps) and it's elegant. 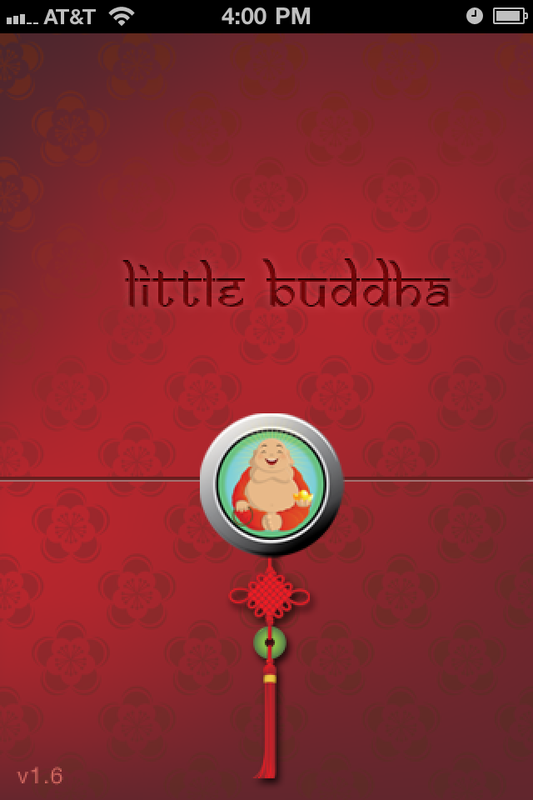 With a very simple interface (see below), you can rub Little Buddha's belly and get a quote, then close it and repeat. You can turn it landscape mode and just swipe through them. You can mark favorites and view those, look at your own quotes, search for terms and edit the settings. 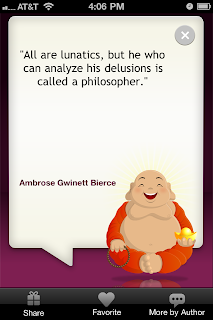 As I prefer in an app…that's it! Very simple and straight-forward. The reason I consider this app so important is that I like to end my morning routine with a positive thought…especially one that I might like to share on FaceBook with friends. 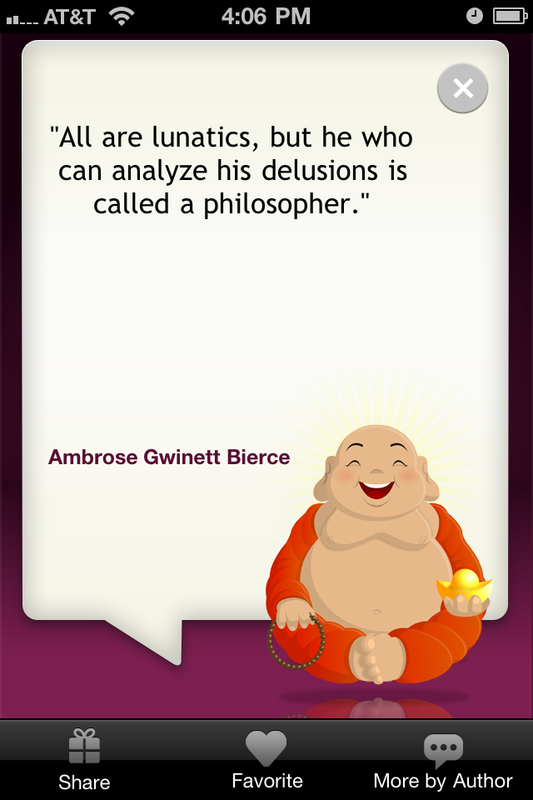 So, go get the app and enjoy! I'm not sure what apps Happy Tapper has in store for us in the future, but if they're anything like Gratitude Journal, Vision Board and Little Buddha then I know I will own them as well! So that's it. I've completed the reviews of the apps I use for my morning routine. The rest of the day I repeatedly use LoseIt! to track my calorie usage, and then at night when I go walking I utilize a pedometer app that I will review later on. I hope these reviews have helped you find some tools that will help you on your own quest to lose weight and live well. The most important thing I can suggest to you though, is read the book Savor , and then find a way to make it work for you…the rest of this stuff is just tools in a tool box. The ones I reviewed are the ones that I finally put together to work for me.